We all like going to Granny's house but what goes on at this house is not the usual cookies and games. 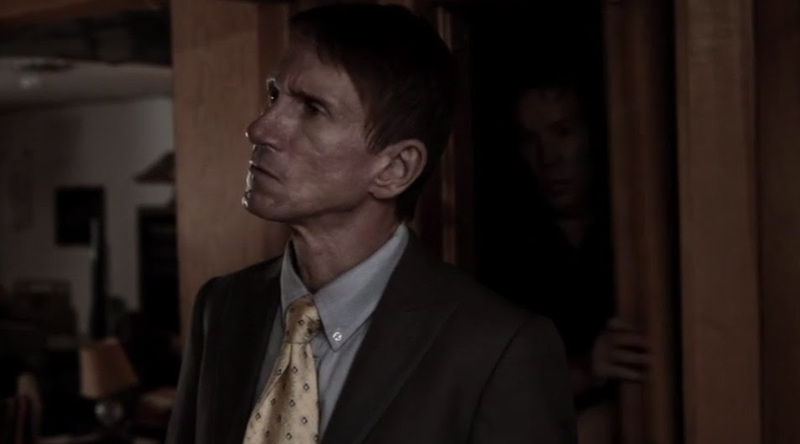 Bill Oberst Jr ("Criminal Minds", Death House), Rachel Alig (Bikini Spring Break, 12/12/12), Les Mahoney (Mike Case in : The Big Kiss Off) and Laura Lee (Casting JonBenet) star in the award-winning indie horror directed by Les Mahoney AT GRANNY'S HOUSE. A Hitchcockian thriller with twists and turns, made for the YouTube generation with it's depictions of the ubiquity and downside of cellphone usage and connectivity thru social media, At Granny's House is the story of a young caregiver with a dark agenda moves into an elderly woman's house. Soon, Granny's house becomes a macabre place of death - and love. AT GRANNY'S HOUSE is available now on Amazon Prime, iTunes, and Vimeo (worldwide).